This prodigy, Nabanita Ghosh started crawling at the sound of any music and started singing even before she could get her feet firm on the ground. She would memorize songs and poems and sing everywhere, anywhere and anytime...Such was her passion that she knew that one day she would have the audience stunned and mesmerized enough to give her a standing ovation. She is proving it to the world that she is here to entertain and bring a smile to the thousands listening to her perform. Mothers as we all Indians know are quick to notice and encourage their children’s talents. Wasted no more time and bought her the first Harmonium and put her on to the Music teacher for "RabindraSangeeth" in Kolkata. She grabbed certificates from premiere music institutes, and also trained online at Shankar Mahadevan Academy. Nabanita’s father has been a silent admirer of her talent and has always inspired her to reach greater heights. She performed in different big and small stages since childhood in Kolkata, but the real magic awaited for her miles away! Mom’s two-year stint in a remote village brought her close to nature and its surroundings. It was love at first sight and she felt absolutely one with Nature. She could feel the music in the whispers of the lush green trees, the melodious singing of the birds, the calm crystal clear waters of the river, the first raindrop earth’s smell, the chilly winters, the glorious blue sky, the rich brilliant colours of the sunset, the green meadows, the freely grazing animals and she almost related everything to music. So much so she created a beautiful bond by singing aloud, running amidst nature with her sister and dancing to the Nature. Today she reminiscence her childhood habit of singing and thanks her Mom for introducing her to this great world of Music. A much-craved childhood for the most of today’s kids. 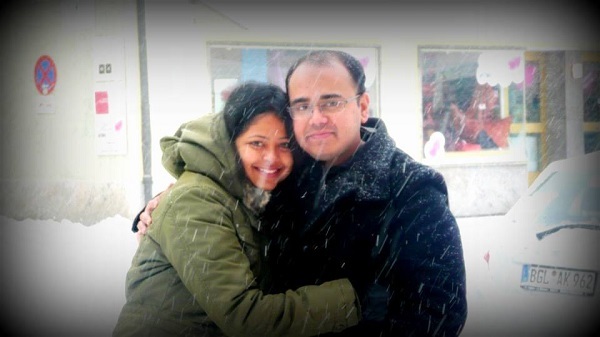 Matrimony that led her to the world abroad!. No matter how talented one is; academics in India takes priority and so was it for Nabanita who finished her Masters in English Literature. Singing was always a passion and a hobby; until her Mr. Right, a software engineer came into her life. It is all because of him who from the day they were married enjoyed her singing at home and encouraged and thought she was par excellence and must get on to the stage abroad too, sooner or later. Made it to the Stage. The singing journey began. Staying indoors mostly she relied on music as her soul companion, humming and singing all day. 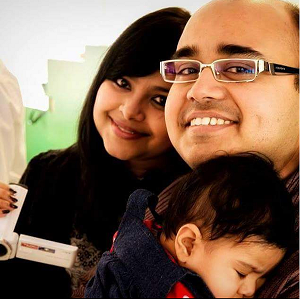 Feeling a bit at a loose end, she connected and networked with Bengalis at the first Durga Puja in Copenhagen. She was soon invited to sing at Indian organizations, in different fests and then started getting calls from outside Indian community to perform Bollywood numbers. She then represented India among 14 other Asian countries in a very popular Asian Culture Festival in 2016, touring in the biggest cities of Denmark with the festival. A Big Opportunity strikes. HelloHello !! One fine afternoon, her phone rang, she answered: “hejdeterNabanita” (Hi, I am Nabanita), a deep male voice responded - “This is from TV2, for the Program “ DANMARK HAR TALENT" (Denmark’s Got Talent) and her hands started trembling and was utterly shocked. Is it a prank call? she disconnected. They called her again and said, “Heard you singing, got your number from Asian Culture Festival Organizer and would very much like you to be part of our show to add some Bollywood flavour to it”. Yeah.........screamed and yelled and thought it was too good to be true. The rest is history. Nabanita’s performance was absolutely sizzling, magical and mind-blowing that had the judges edgy on their seats and the Danes started grooving, clapping, swinging and dancing along to the sensational song KaisiPahelizindagani. The grand hall full of audience, and the judges stooped up and gave her a standing ovation! Surely Sunidhi Chauhan would have given her a standing ovation too, Rekha and Sanjay Dutt would have jumped on to the stage. In fact, when she was leaving the theatre around 11 pm, people from the audience took selfies with her and asked for autographs! She was trending on social media and was also interviewed by the large-scale popular local Danish and Indian newspapers. Hear what the Judges had to say –Jarl Friis-Mikkelsen, who is a legend in Denmark, said he thought he saw “Marilyn Monroe of Bollywood” in front of his eyes, and the others kept praising her too! 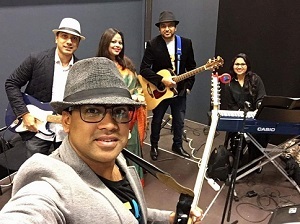 Nabanita is the first Indian singer to have ever reached the semi-finals on a primetime TV show in Denmark, and that too with a Bollywood song. She performed “Rangeela Rey” at the semi-finals, along with the quartet dancers who tapped and gracefully danced to her enchanting voice. She did just what she believed in...Go out there, give it your best and enjoy the show. Her excellent performance was well appreciated by the Judges and the audience. What a thrilling moment for this superstar being the first Indian Semi-Finalist at this grand TV show. The road thus far was smooth with a bit of luck, and a lot of hard work, but the real challenge remains to be seen. Keeping up to the expectations and improving on performances each day can be achieved only through more and more hard work and meticulous planning. Nabanita is already on with her new Band and her music school “Taraana”. She gets the chance to collaborate with popular Danish artists, and also has gone international. Getting enough resource is a challenge here, yet her hard work is getting recognized, and she has had few good offers from the music fraternity in Denmark to represent Indian music there in bigger platforms. 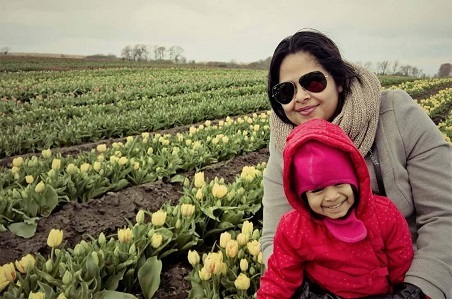 She is working extra hard to find a balance between home, her 5-year-old kid and her serious passion turned into a career. 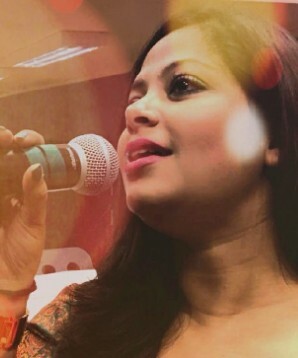 Being a versatile singer herself, her favourites are Asha Bhonsle, Shreya Ghoshal, Arijit Singh, Kaushik Charkavarty and Richa Sharma. 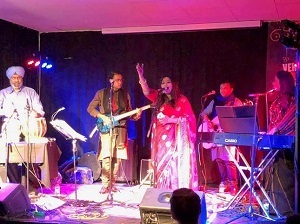 Nabanita sang in 9 languages in the prestigious Copenhagen winter jazz festival with her band representing Indian music in the form of folk, fusion and contemporary from different regions of India. Her Lead guitarist, Rhythm guitarist and Keyboard player are corporate professionals, besides being musicians. She brought in a senior Tabla player for this project. Nabanita sang with Per Bloch and his Ensemble for a Live show. (Per is known for his album Kokoro, 8 love songs in 8 languages) where she sang the Danish song from Kokoro, adding Indian Classical over tunes for the Live show. 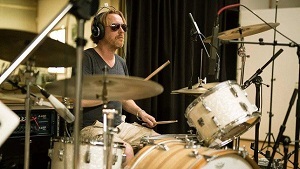 Nabanita feels extremely privileged to have worked with the extremely popular Danish musician Stephan Grawboski, who has re-designed the entire track for Nabanita's Bollywood cover. Stephan is the curator of projects like The Bollywood Trip and Rockqwali. His music can be found in iTunes and Spotify. She has already Lent her voice for few other international collaborations, that are still in the making. Music means everything to her and she finds absolute solace. Indian classical vocals, folk, and instrumental are some of the best in the world but not many seem to pay much heed to it. Outside India, people think its all about Bollywood music and she is trying to change this and her mission is to popularise the amazing sounds of other genres of Indian music! She concludes – If an opportunity comes by, one must learn Music in whichever form as it brings so much joy and happiness to all. It's the greatest communicative tool binding all races.